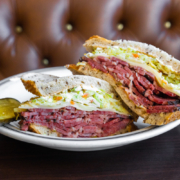 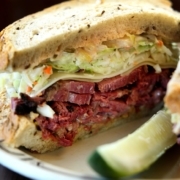 Here’s a wonderful review of Langer’s pastrami and deli dining experience by Jim Hollrah in the Telluride Daily Planet. 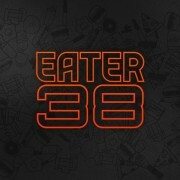 Worth a 5 minute read! 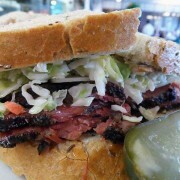 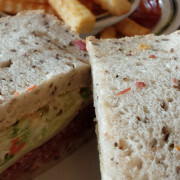 LA’s pastrami champion, Langer’s Deli, where I have twice dined. 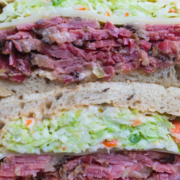 Here the pastrami sandwich reaches its pinnacle. 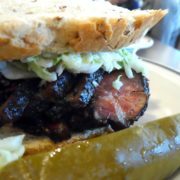 Hefty, yes, but not a daunting beast bigger than your head. 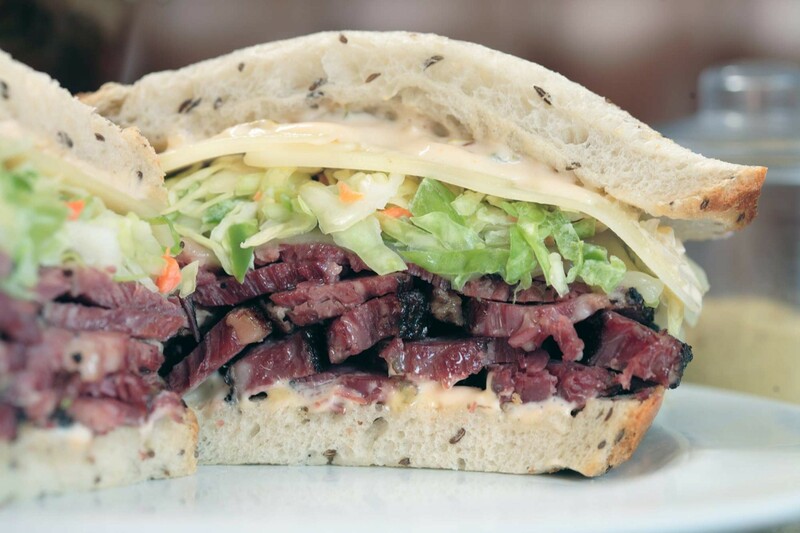 The crusty bread is assertive without smothering the meat, and the meat itself achieves a tender chewiness and flavor that all pastrami strives for.